microchips PIC: Twitter Hack – How to Make a Laser-Trip Webcam Security System! Twitter Hack – How to Make a Laser-Trip Webcam Security System! Here’s a great Twitter Hack that involves Arduino, Linux, webcam, and a laser pointer to make it a complete Twitter Security System! Awesome, this is the best use of Twitter I have seen so far, simple yet effective webcam security system! "This instructable will show you how to construct a laser tripwire that can twitter and grab an image from a webcam, as well as execute any command you can put in a bash script. 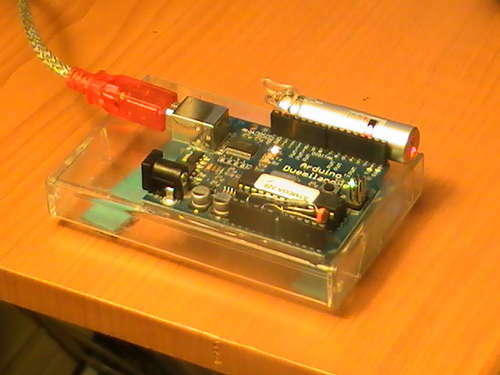 This instructable is actually quite simple and is even suitable as a beginner arduino project. It requires a GNU/linux (or possibly Mac) operating system with the arduino IDE and Processing IDE working properly. This project could also be implemented in Windows if you created a more complex processing application."